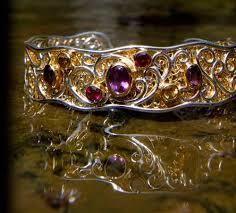 Michou jewelry is “Art to Wear” as each piece is a diminutive sculpture created with exquisite, one-of-a-kind details. Exquisite, tiny, detail such as gleaming hinges that move between fluid elements of filigree, granulation, scrollwork, or repousse; luscious 22K gold vermeil accents; vibrant faceted stones set against gleaming sterling silver, polished bright or brushed to a pearlescent finish. Michou’s Art to Wear jewelry is perfect for every occasion, with dramatic pieces born of inspired vision and lovingly brought to life, suitable for both night and day. The name Michou itself, which is a derivation of the French endearment ‘mon petit chou’, is the childhood nickname of the artist behind Michou’s unique designs, Michele Sonner. 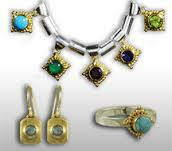 It is her love of art, antiques, and history that first attracted her into jewelry design over twenty years ago. And so Michou was born – marrying modern design with an ancient art form learned from experienced Balinese artisans. You can find a variety of pieces from Michou’s Enchanted Lace Collection in Allen’s Jewelers showroom. A jeweled collection that evokes the delicacy of an exquisite art form, renewed now and frozen into place with impossibly delicate threads of fine silver. Each magical piece is handmade, trapping the filigreed layers within clever pendant shapes, linked together with gold citrine and smoky quartz to form intricate necklace patterns, ingenious bracelet designs, and charming earring sets. Both elegant and delightfully detailed, Enchanted Lace is, quite simply, one of Michou’s most captivating collections yet. 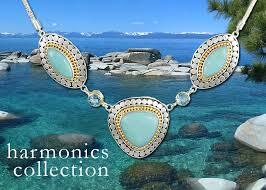 Allen’s Jewelers also has fine pieces from Michou’s Harmonics Collection. Gathered from rare corners of the earth, Michou’s Harmonics collection is an arrangement of elegant techniques played out in radiant musical chords. Drop earrings, rings, and loose necklace strands – balance more exotic pendant and earring centerpieces with milky opal and pearl against translucent notes of hot pink and blue topaz. Michou’s Harmonics will continue to adapt the inspiration of generous stones against a chorus of smaller complimentary notes using different techniques. Look for a harmonious balance of contrasts, homage to the ancient secret society of the Pythagoreans, who worshiped mathematics as art form rather than science, a musical gift from the gods. 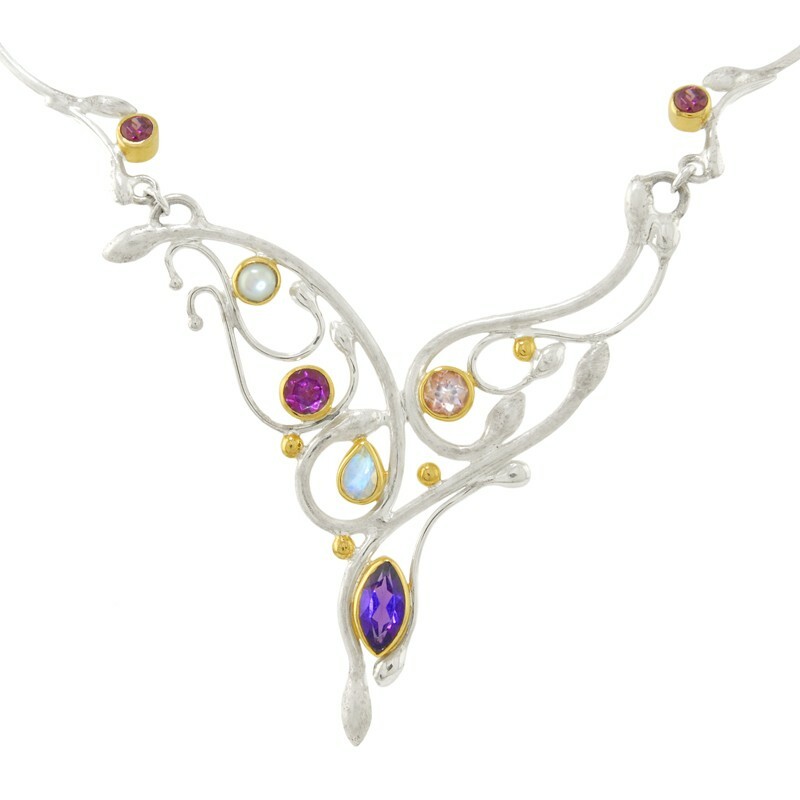 If you would like to view our full selection of Michou jewelry, contact us to schedule a tour of Allen’s Jewelers studio gallery.